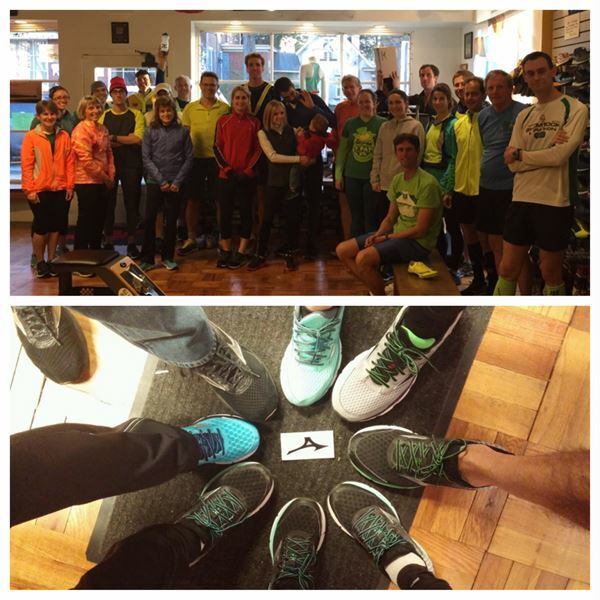 Tues 3/17 at NWRC: Dan from Mizuno helped us to celebrate St. Patty's Day. Thanks for the Weartests of the Rider and Inspire. Welcome Matt and Leigh! Great pizza and Harp!